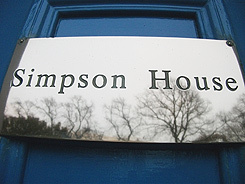 Simpson House Counselling & Recovery is established to improve the lives of people affected by drug use in Edinburgh and the Lothians. Princess Diana visits Simpson House in connection with her HIV/AIDS work. Sunflower Garden is established to help children within the city of Edinburgh who are affected by drug or alcohol misuse in their families. Simpson House Training is established, growing out of the work of Simpson House Counselling & Recovery and Sunflower Garden. Make It Happen, an Early Intervention Initiative designed to identify children and young people that may become at risk and vulnerable in East Edinburgh, is launched. In the first 12 months Make It Happen worked with 23 people aged 10-18, and police reported a 65% reduction in antisocial behaviour and a 74% fall in offending. Simpson House's SMART Recovery Group meets for the 100th time. The group was established in 2010 and has gone from strength to strength since then, with more groups being established along the way. 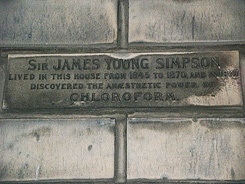 Sir James Young Simpson, who lived at Simpson House from 1845 to 1870, discovered the anaesthetic properties of chloroform and successfully introduced it for general medical use. The Simpson family gifted the building to the church in 1916. Since then the building has been through many uses including being requisitioned by the army during the Second World War and being used as a centre for training Sunday School teachers in the 1950s.